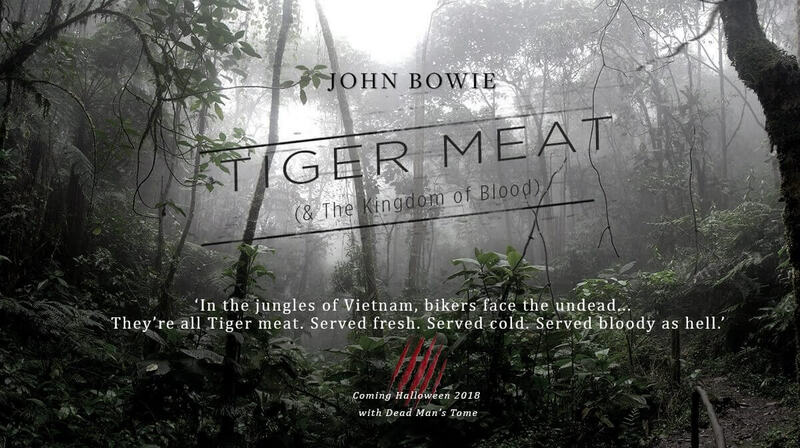 Set in the jungles of Vietnam ‘Tiger Meat (& The Kingdom of Blood‘ starts out noir and semi-autobiographical with a dark atmosphere and characters that build to an evil climax. 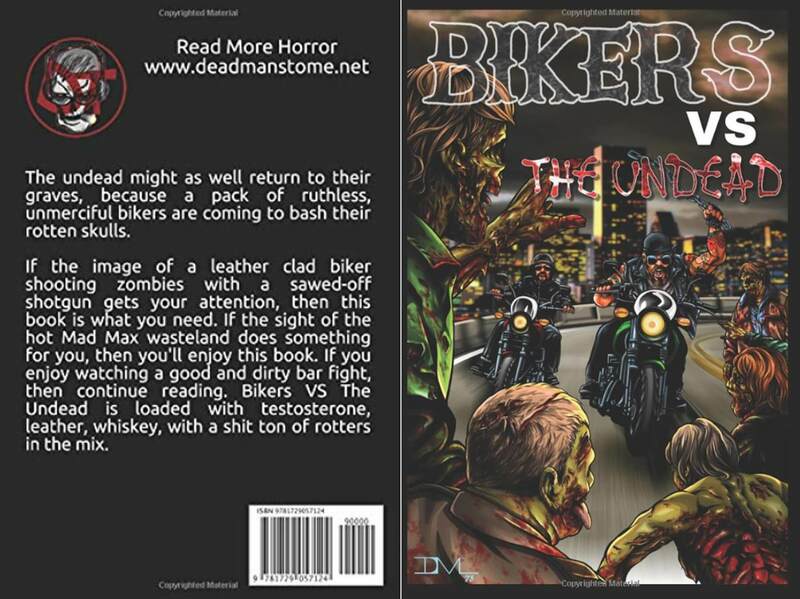 Further fear ridden journeys, encounters and a world of darkness linger in the atmosphere that reaches out past this tale. As it finishing where many road trip horrors might begin, it plants seeds for the ongoing nightmare and possible future memories. Like in ‘Untethered‘ it plays with identity, roles and this time… fear. Specifically, the shifting perspective of who to fear most when everyone is under threat. 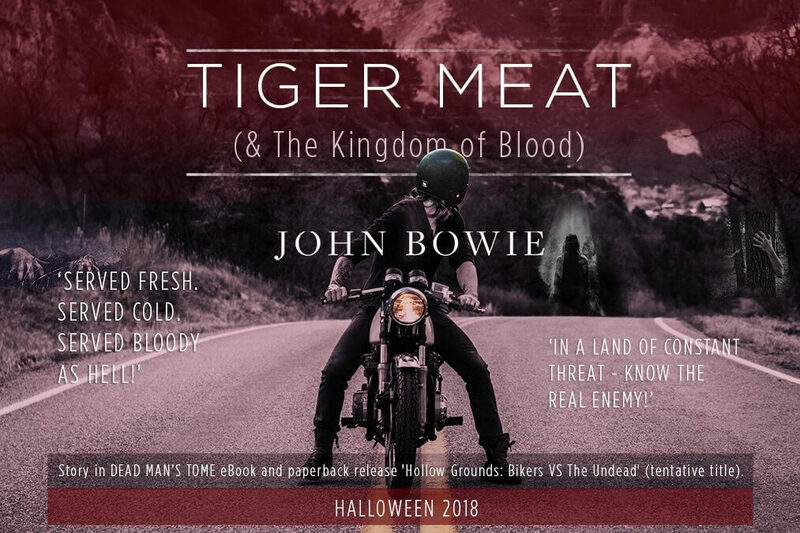 Tiger Meat (& The Kingdom of Blood) by John Bowie is out now for Halloween 2018, with Dead Mans Tome in the U.S.
It’s included in their Anthology: Bikers Vs The Undead as an eBook and in paperback.